The small teeth of a bat can make a bite difficult to find. Rabies transmission may also occur if a bat’s saliva comes in contact with a person’s open wounds or mucous membranes such as the eyes, nose or mouth. 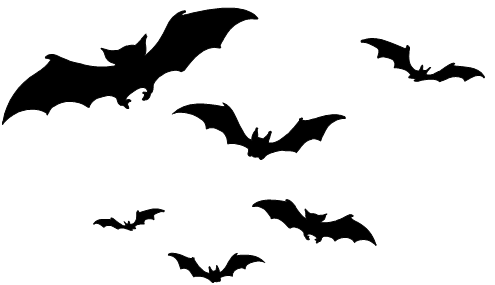 From 2007 through August 2012, the County Public Health Lab tested 312 bats for rabies. Fifty-two or 16 percent were positive for the disease. Additionally, one skunk and one fox also tested positive for rabies. Bats are most often seen by people during the summer months when young bats leave the roost, insects are abundant, and people leave windows open at night to counter the heat. If you find a bat inside your home or on the ground on your property, contact the local animal control agency or humane society that provides animal control services in your area. They will catch the creature and have it submitted for rabies testing. If direct contact with a bat does occur, wash the affected area thoroughly with soap and water and get medical advice immediately. Rabies in humans is almost always fatal. The disease can be prevented by avoiding contact with wild, stray, and unknown domestic animals; ensuring pets are up-to-date on rabies vaccinations; and receiving prompt medical advice following animal bites and other significant exposures to potentially rabid animals. All three County animal shelters have rabies vaccination clinics for dogs 4-months of age and older for $6.00 every Thursday from 1-3 p.m. Visit www.sddac.com for shelter locations. For more information about rabies and bats, please visit the Centers for Disease Control and Prevention website.